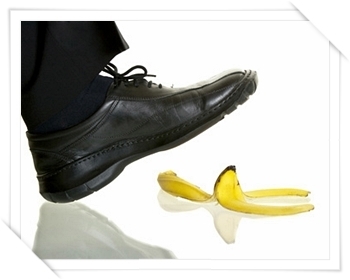 Suffered Injury From A Slip, Trip Or Fall? At ACHL we have the experience to guide you through what can be a complex claims procedure to ensure you receive the accident compensation you deserve in relation to your personal injury claim. Our Personal Injury staff will advise you on what medical evidence or assessments will be required before a Personal Injury compensation case can be pursued. You may be entitled to Compensation if your Slip, Trip, or Fall was the result of another person or organisation failing to take proper care. Slips, Trips, and Falls can happen just about anywhere. Inside a local shop, supermarket, office, car park, walkways, or roads and pavements. Common causes of Slips, Trips and Falls are damaged flooring or carpeting ; obstacles or cables left on the floor ; missing drain covers ; wet or slippery surfaces ; untreated ice or snow on access routes. The owners and occupiers of property, pavements and roadways have a responsibility to keep the public safe. If others with a duty of care have failed to take proper measures and you become the victim of a Slip Trip or Fall you are entitled to compensation. If you have been the victim of a Slip, Trip, or Fall ask someone to photograph the cause of the fall using a camera or a mobile with a camera. Place an everyday object in the photograph so that the scale of the damage can be highlighted, e.g. a newspaper or a coin etc. Take a note of contact details of witnesses for use by our solicitor. CALL AND SPEAK with one of our personal injury specialist for free, no obligation advice on your slip trip or fall injury. Accident Claim Helpline Ltd T/A ACHL . CRM 1372. VAT no 792014439.